WEST PALM BEACH, Florida September 3, 2015 – SLPowers is excited to have received its CompTIA Managed Services Trustmark. 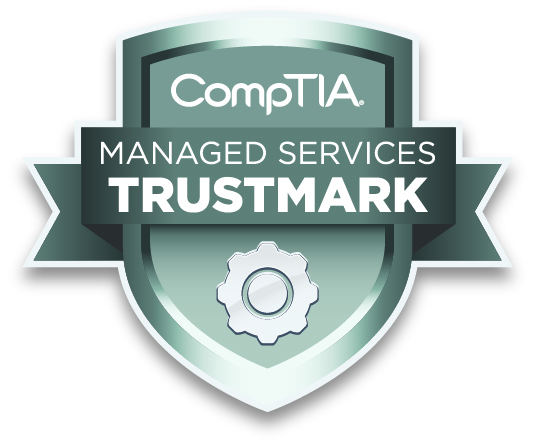 The CompTIA Managed Services Trustmark is only awarded to Managed Services Providers who package on-premise IT services as part of their offering and can demostrate to CompTIA the maturity of their MSP program. Companies who earn the Managed Services Trustmark have proven that they are truly committed to their customers by providing everything promised in the managed services agreement, such as standard operating procedures, best practices, and the right systems and tools for delivering services. In order to receive the CompTIA Managed Services Trustmark, IT service providers must submit to a comprehensive review of their organization that requires detailed human resources, financial, risk, and business management practices. Recipients have disclosed their technology tools, standard operation procedures, and IT services activities. And once a provider receives the CompTIA Managed Services Trustmark, they must abide by a code of conduct. SLPowers is a leading provider of information security and IT management services headquartered in South Florida. Our Technology Management Platform, Guaranteed Networks®, has evolved into a next generation suite of information security, IT management and on-demand services, which can be tailored to support the needs of any size enterprise and it earned SLPowers an Industry Contribution Award from CompTIA, the Computing Technology Industry Association. For more information, visithttp://www.SLPowers.com, or call 1-800-SLPowers. The Computing Technology Industry Association (CompTIA) is a non-profit trade association serving as the voice of the information technology industry. With approximately 2,000 member companies, 55,000 registered users, 3,000 academic and training partners and more than two million IT certifications issued, CompTIA is dedicated to advancing industry growth through educational programs, market research, networking events, professional certifications and public policy advocacy. ‹ How Much Is Your Personal Information Worth?